As the scenario suggests, Newcastle looks set to undergo some massive changes following their relegation from the English top flight. Judging by the outlook of the whole relegation saga, this could prove to be a blessing in disguise for the Magpies while it could also be the beginning of a downward spiral if the club’s hierarchy fail to take the right decisions. It’s absolutely mind boggling to think that Mike Ashley let Steve McLaren carry on with his job even when Newcastle were plummeting down the Premier League table faster than a Ferrari can hit top gear. 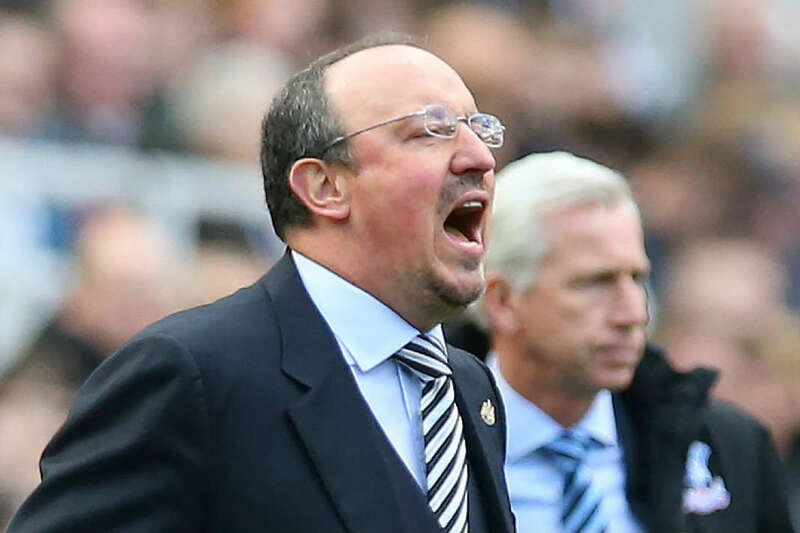 And when the club’s managing director Lee Charley realised McLaren’s appointment was a huge mistake – 28 games into the season – Rafa Benitez was brought in to kick-start the relegation scrap with only ten games to go until the end of the campaign. Newcastle was unable to beat the drop but even in the wake of that grave misfortune, the Spaniard was able to achieve a whole lot within the short span of time he had in the Premier League. Within a couple of months, Benitez gave Newcastle fans something to hope for as he turned the team into a tough side to break down. With the Magpies set to begin life in the Championship next season, the club hierarchy needs to make a lot of changes, but one major thing they need to do is to ensure that Benitez’s services are retained. It’s surely going to be a hard task, but it’s something Mike Ashley and Co’ have to do to have a fighting chance in the Championship. Surely Benitez will need a lot of incentives to remain at St James’ Park, but as he showed in just ten games in charge of the club, the former Real Madrid manager can make a real difference. The Championship is almost as competitive as the Premier League. Every club always looks to secure promotion so with that factor in place the Championship becomes a tough league to get out of even for relegated Premier League sides. If Newcastle fails to bounce right back into the top flight, then the club’s stature as a whole will be massively depleted. In the likely event that Benitez decides to activate the relegation clause in his contract, Newcastle will probably consider bringing in the likes of David Moyes and Nigel Pearson to help the team climb the pecking order once again. Pearson would be a good fit for the job although he has somewhat of a fiery personality which could get him and possibly the club in trouble on a couple of occasions. The Pre-season is going to be one of the hardest ever for Newcastle as they have to make some significant changes amongst other things. Practically half of the club’s entire first team has to leave due to their abysmal showings throughout the course of the season. While many of Newcastle’s players aren’t entirely cut out, the likes of Aleksandar Mitrovic and Ayoze Perez should be held on to as their proficiency will be useful in a league such as the Sky Bet Championship. Newcastle needs to up their game in the Championship if they want to find their way back into the Premier League. They will need to have a manager capable of calling the right shots as well as instil belief and passion into the players. Clubs like Newcastle shouldn’t be in the Premier League’s bottom three let alone play in the Championship, the club’s hierarchy has to patch things up as soon as possible for them to avoid fading into obscurity.